With the JobFinder script you can start your own fully automated job search engine affiliate website within minutes. 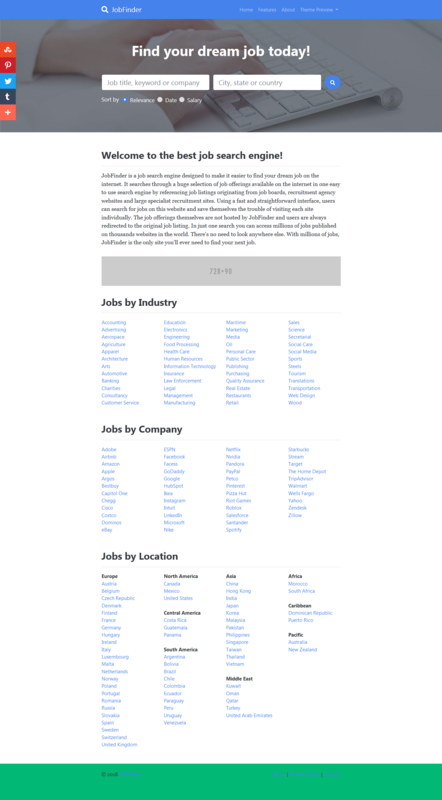 Let your visitors search millions of jobs published on thousands websites in the world and earn money by driving traffic to the original job listing website. 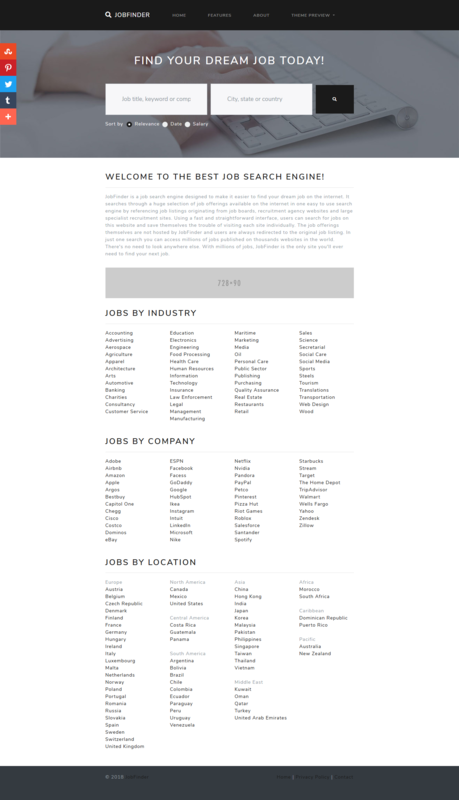 The search function lets visitors search for millions of jobs in all kinds of industries in over 90 countries. Search results pages come with pagination and Careerjet results can be filtered by relevance, date and salary. 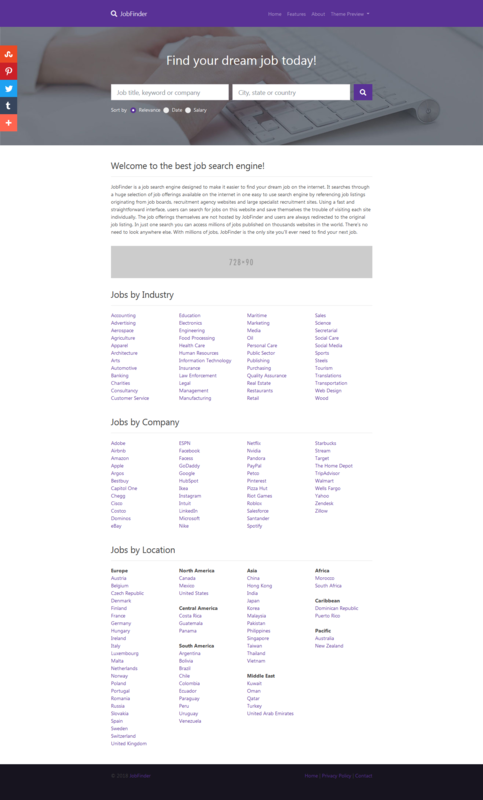 You can use the script for a standalone job search site, create instant niche job sites or as an addition to your current site. 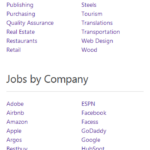 You can customize the homepage to include the job industries and countries that you want on your site. There’s no need to look anywhere else. 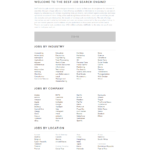 With millions of jobs, JobFinder is the best site for your visitors to find the job that they are looking for. Join the Careerjet and ZipRecruiter publisher affiliate program’s and earn money based on a pay per click principle and an auction system by driving traffic to the original job listing website. Each time a visitor directed from your site clicks on a payable link, you will receive a commission! With multiple advertisement spots in place on all pages you also have the option to promote any affiliate program or advertising company that you like to use. 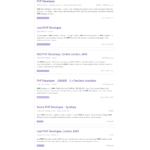 All pages are SEO optimized with OpenGraph meta tags and have a search engine friendly structure, perfect for search engines like Google to crawl and index your website. You also have the option to add text to create your own unique page titles for improving search engine results. 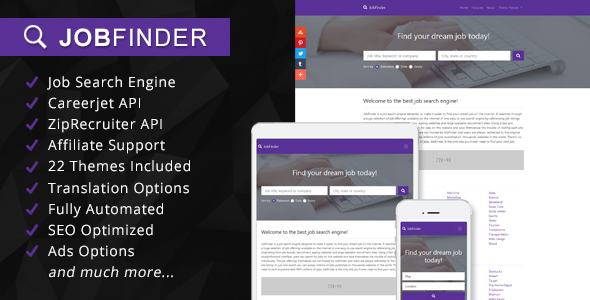 The JobFinder script uses the latest Bootstrap 4 framework and comes with 22 different beautiful designed and responsive themes provided courtesy of Bootswatch. 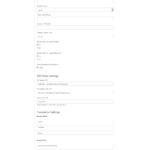 You can easily switch between themes in the admin panel. Check the demo site to preview all the available themes. 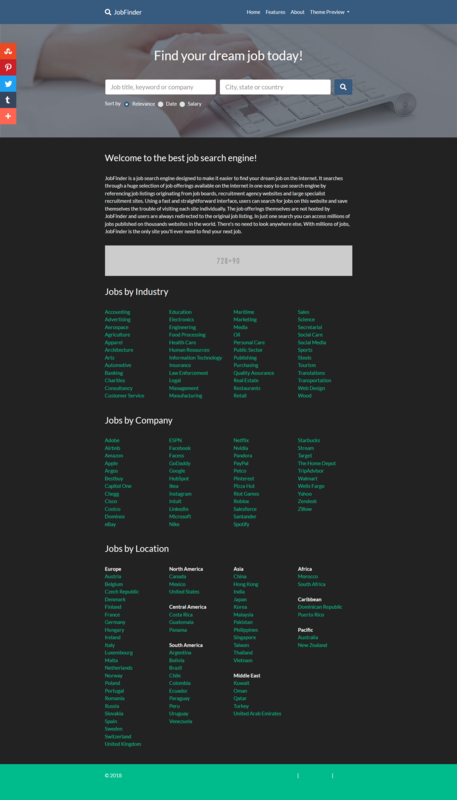 Tags: affiliate, api, bootstrap, careerjet, jobs, php, responsive, script, search engine, ziprecruiter.